You wouldn’t think that buying orchids from different stores or vendors would come with different outcomes. Finding that perfect vendor to buy orchids from may take some time but the ending result will be worth the wait. Your search may take you to local nurseries, online websites or even plant shows. All the different vendors will benefit you in some way, whether it is a beautiful orchid or simply the knowledge they provide. Keep in mind….. When you bring or your orchid is brought to your front door it can be temperamental! Why you ask? Depending on where you bought the orchid from determines how many different places that orchid has been moved from. Make sure to think about the best locations that will best suit the tropical flowers need. This will help the orchid settle quicker and thrive in its new location. Nontraditional stores would include your local hardware store, supermarkets and even some gas stations. 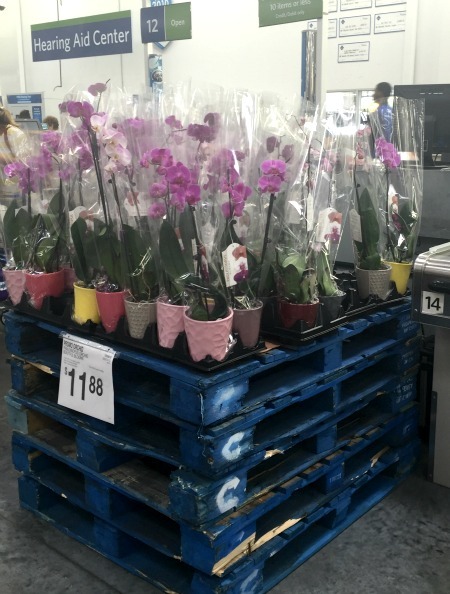 Buying orchids from these specific places do not always warrant you a healthy orchid.Remember to go through your check list before buying the tropical flower. However, if the price is right you may want to take that chance. At my local grocery store you can buy orchids occasionally. If one happens to catch your eye go through the check list to make sure your buying a healthy orchid. Usually in nontraditional stores, like your local grocery store, they have the tropical flowers shipped from an online company. In this case this is the third or fourth stop for these beautiful orchids. At this point the conditions have not been suited for the orchid’s proper needs. You will probably need to keep an eye on it until the orchid gets settled. When I checked out these orchids at another local store they looked perfect! These fresh orchids had new growths, beautiful blooms and no discoloration on the leaves. At this type of store they usual do not have employees that can answer questions about the tropical flowers and the selection is minimal. Benefits of buying orchids from a nontraditional store that actually has a garden section, like your local hardware store, may provide knowledgeable staff and more of a selection. They are limited on orchids so keep that in mind. 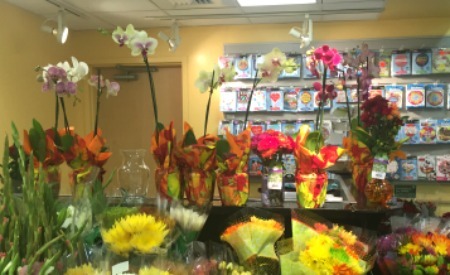 These stores may order their fresh orchids from local nurseries and try to keep the easier orchids on hand. In this case the tropical flowers don’t have too much of a change from nursery to vendor. Nurseries include two types: traditional orchid nurseries and general landscaping. Both types of nurseries will carry an assortment of orchids and have their own benefits. ü Local nurseries may have a variety of classes. They usually have it posted on their website or if you sign up for their email program they will send it that way. ü Remember most nurseries deal with the public so most advice is geared towards beginners. Traditional Orchid Nurseries are strictly dedicated to growing orchids and will have a wide assortment of species. When you buy orchids from a nursery like this expect to find knowledgeable employees that will answer all the questions you have about your specific purchase. Employees may even give you tricks of the trade to help your success rate. Traditional orchid nurseries is where most hobbyist prefer to buy their orchids from. Landscaping Nurseries grow and carry an assortment of plants and accessories. The plants may range from Palms to small bushes like hibiscus. These types of nurseries not only carry the things you need to create a new look in your landscape but they also have knowledgeable staff. Since they carry a variety of plants they may not have as much of a selection with orchids. The joys of online shopping…….One doesn’t even have to leave the couch to order beautiful tropical flowers, and in this case orchids. There are hundreds of websites that will sell you all types of tropical flowers and plants ranging from easy to advance. Make sure you do your research on the website you are thinking about purchasing from! Anyone can sell a plant. Read reviews and even ask on social media if anyone has purchased from them. When purchasing online the vendor usually keeps the pages updated with current orchids. However, the picture that is displayed may not be the actual orchid that you are buying. Most of the time it’s an example of what you are buying. You need to also take into consideration you are not actually seeing the health of the plant. If you have never been to an orchid show and love plants it’s a must! It may be overwhelming in the beginning when you see all the vendors and beautiful orchids they are selling. I find this to be one of the best places to learn all kinds of neat things. I will warn you…..you may walk out of a show with more than what you wanted. Orchid shows bring out some of the most unique orchids in the trade. Certain vendors will only sell through the trade shows while others also maintain a website. When you find a vendor you really like ask for a business card for future purchases. I started off this way and throughout the years I have made great friends with the same love.